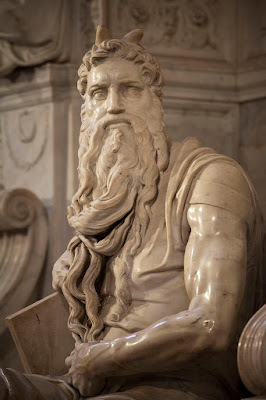 The Historian's Hut: Why does Michelangelo's "The Moses" have horns? Why does Michelangelo's "The Moses" have horns? If you travel to Rome, Italy, visit the church of San Pietro in Vicoli. There you can find Michelangelo's "The Moses" which astounds viewers, not only with its artistic mastery, but with its set of horns. 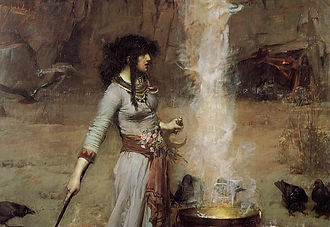 There is actually a historical justification for the horns on "The Moses." The horns of Moses trace all the way back to St. Jerome in the year 405 C.E. Read about why Moses had horns here at historybuff.com.